How is meal planning going at your house through the summer? Do you write out your meal plan each month? We do it one week at a time. It is easier for me to manage. Here is a fun free printable meal planner that celebrates the end of summer! Print it out and start planning your meals one week at a time. If you’re new to meal planning I really suggest you only do one week at a time to keep from getting overwhelm. Want to reuse this printable all month long? Laminate it and use a dry erase marker! Want a different theme? 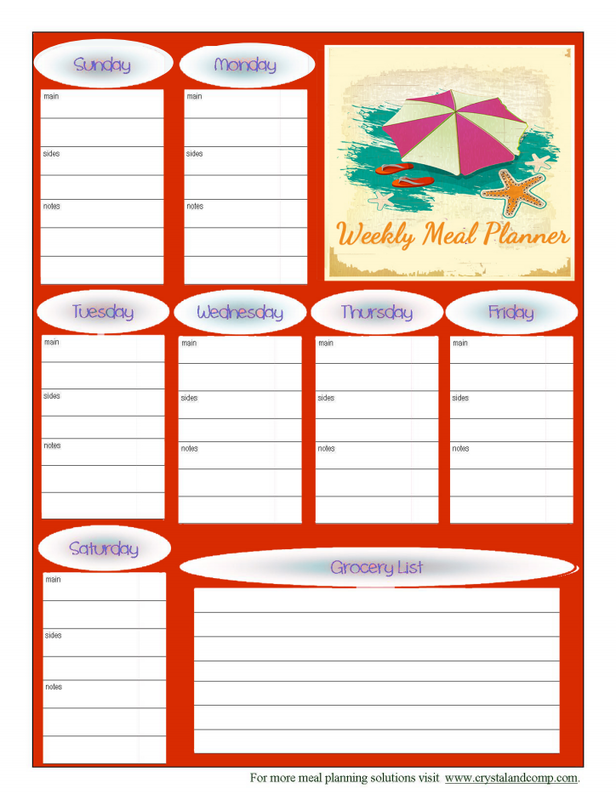 Check out all of my free printable meal planners with different seasonal designs.